It is the last day of March, the 31st! How time flies!! We tried another new food item last night for dinner. Our local butcher had advertised on his placard that he was selling Quiche Lorraine. Sandy loves Quiche for lunch and we stopped in to buy some. While in line, only 4th in line that day, Phil asked what else Sandy wanted in case they were out of the quiche. We love the carrot rappe (carrot slaw with a lemon vinaigrette) on top of our salad so we decided that would be our second choice. The lady in front of us asked for a pineapple slaw. It looked and sounded good so we tried it. Our taste buds and eyes saw pineapple in a creamy white dressing. Sandy imagined a whipped cream or cream cheese and pineapple taste. Fortunately Phil suggested she try it before serving it. It was quite a surprise to taste a CRAB salad with a little pineapple flavor. It was very tasty, but should be eaten as an appetizer/aperitif not a side dish with ham. out of Cheerios, milk, and juice. The kind of things you cannot get at the local outdoor/indoor markets. 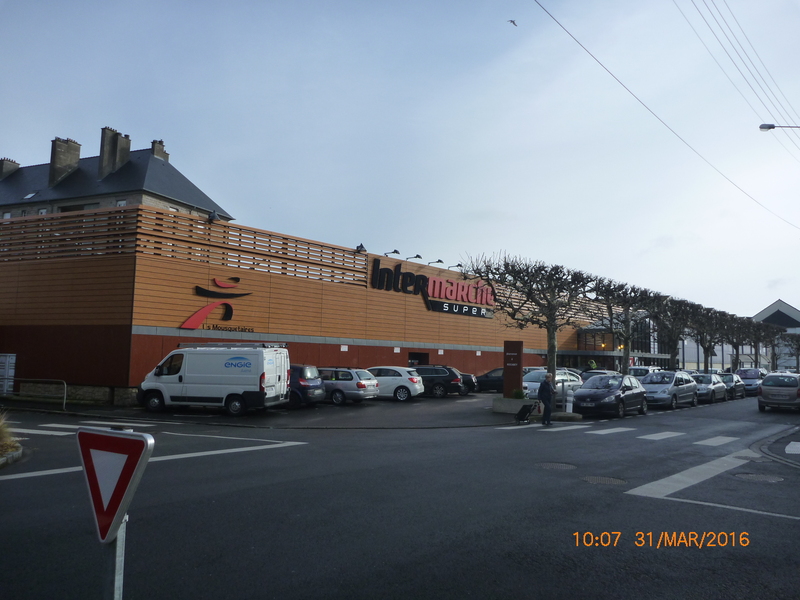 We like to walk through the Rocabey market after shopping at the Intermarche. We like to see what is new and listen to French speakers. We stopped at the butcher in the indoor market to buy dinner for tonight, tomato farcie. 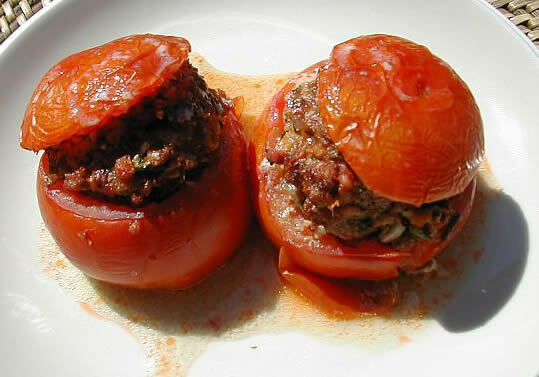 Tomatoes stuffed with a pork filling. 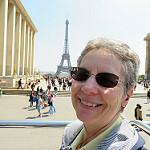 We ended up taking the bus to the Intermarche, then walking the 1/4 mile to the Rocabey market and then we walked home. It is quite cool with a 27 kph wind, but the sun is shining brightly. We did have the crab salad with crackers today at lunch. Very tasty. In the afternoon we took a short walk to the harbor to see what was happening. Bordering the harbor is a small park with about 20 park benches which face the harbor. About 7 are very close to the harbor and the rest are set back about 20 yards. Today most of the benches were occupied by people sitting around enjoying the strong sun. We spent about an hour watching the harbor activity and getting some sun.